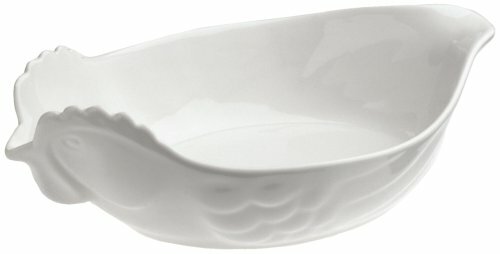 Just in time for International Pecan Day (March 25 — mark your food calendars! ), we've got all the recipes you need to have an all day pecan fest- from breakfast, to lunch and dinner, with some little sweet treats in between. 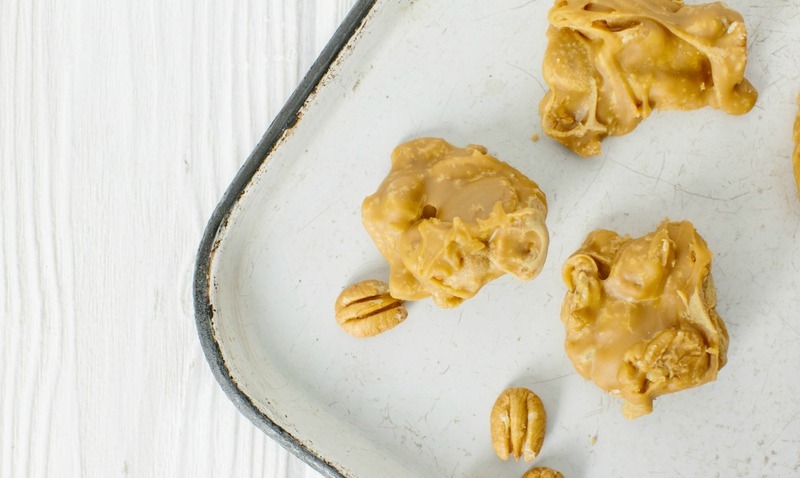 Here are 10 recipes to get you in the pecan mood. Start your pecan-fest off with this nutty update to classic French toast, which involves cutting slabs of chilled bread pudding, tossing in a traditional egg batter, then griddling in the same style as French toast. This brunch darling is the perfect breakfast treat becuase you can (and should) make it a day ahead, then simple reheat it in the oven until nice and bubbly. Finish off this decadent breakfast with even more pecans by adding on this Spiced Pecan Butter. Fragrant, nutty pecans and sweet ripe stone fruit meet in this satisfying salad, perfect for a light lunch or part of a no-fuss weeknight dinner. 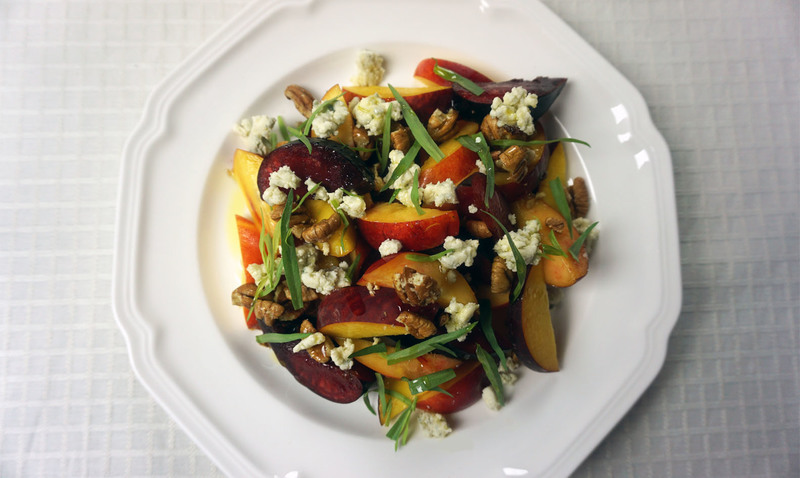 When looking for the perfect stone fruit to pair with pecans in this recipe, look for the darker varieties, which will often be sweeter than their tart red counterparts. 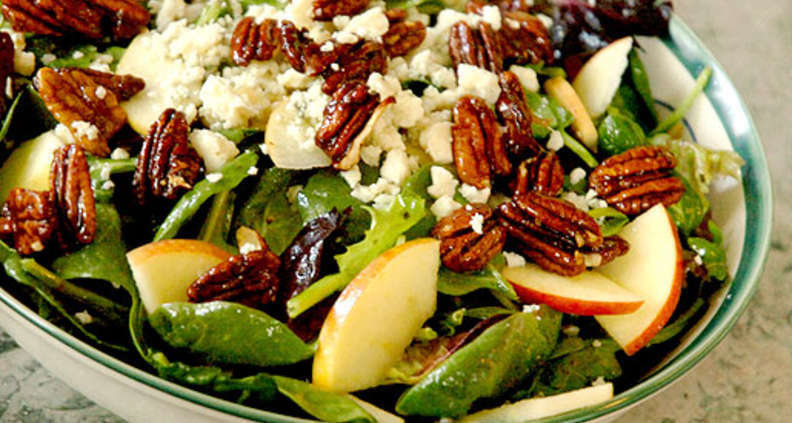 Pecans get a kick of sweet heat in this fresh and crisp salad, thanks to a mix of cayenne pepper and confectioner's sugar. This recipe will give you more spiced carmelized pecans than needed, which makes for the perfect pick-me up snack! 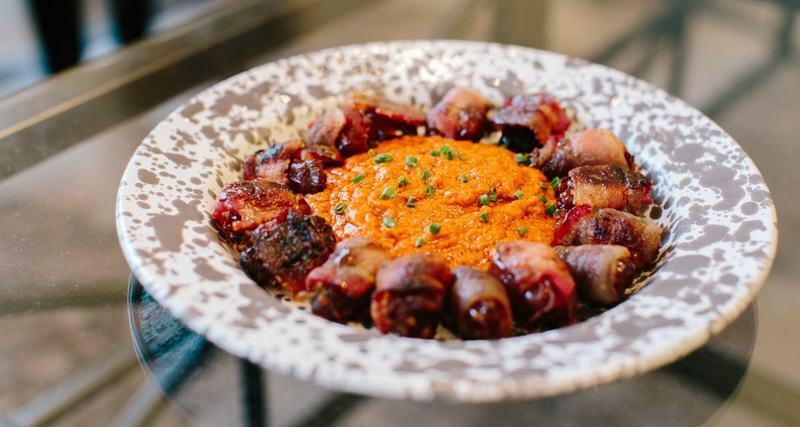 Stuffed and wrapped dates, the ubiquitous Mediterranean appetizer, gets a spicy Southern twist in this recipe thanks to andouille sausage, bacon and a smoky pecan dipping sauce. To help the bacon crisp up in the oven, run the back of your knife along each strip before wrapping to make it thinner. 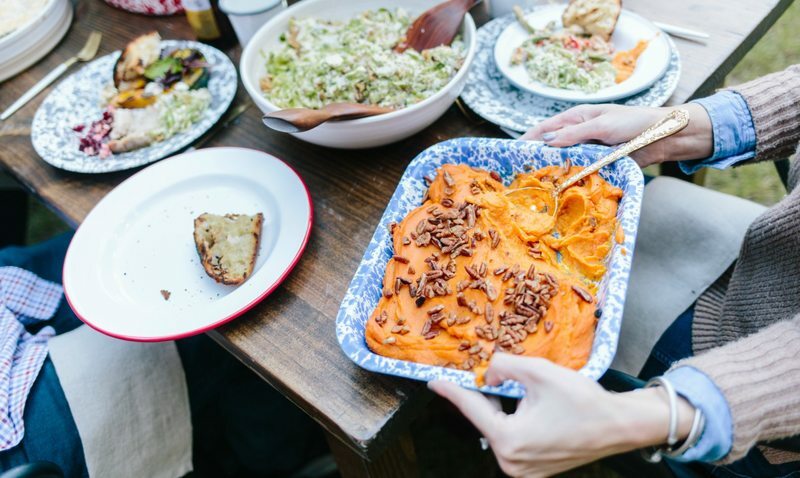 Smokey fire-roasted sweet potatoes pair perfectly with toasted pecans to create a creamy and deeply flavorful side, which can easily be made ahead of time and reheated when it's time to eat. 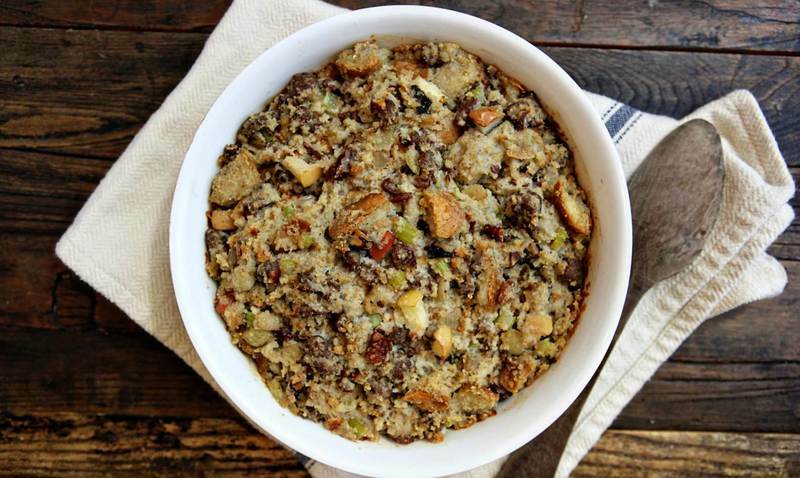 Dressing gets a thoroughly Southern twist with crumbly cornbread, nutty pecans, fragrant sage and marjoram. 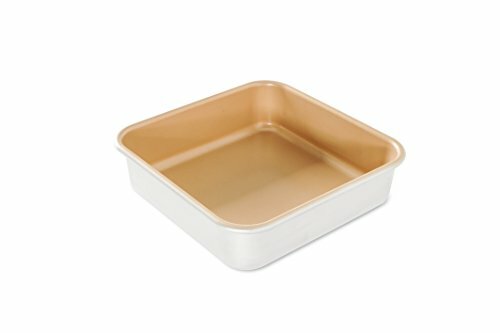 You can certainly buy cornbread or use a boxed mix, but for the best flavor, try making a homemade version. 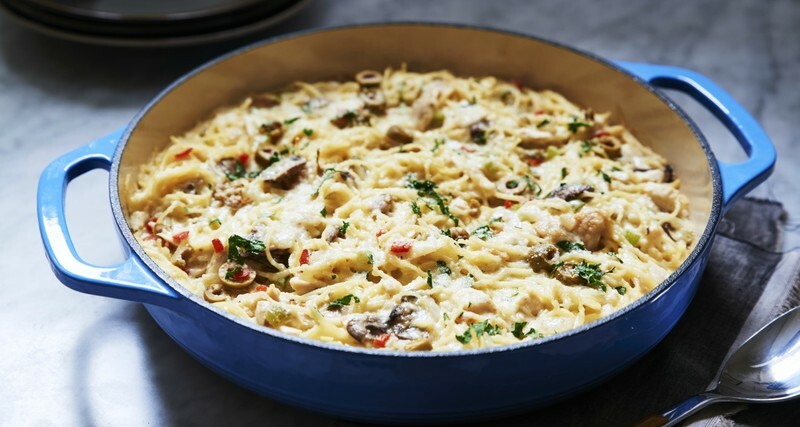 A crowd pleaser, tetrazzini can be made with either chicken or turkey. You can cook up the chicken from scratch, but it's perfectly fine to use a store-bought rotisserie chicken. 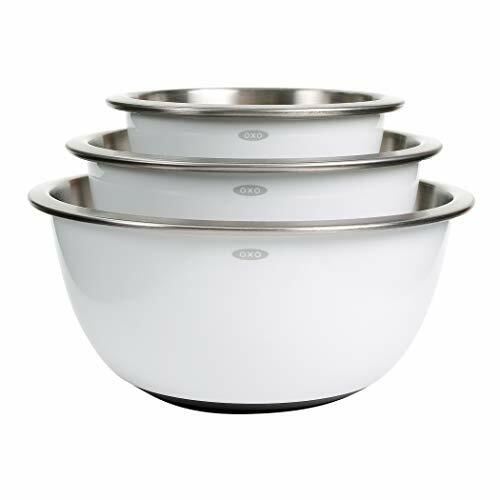 Making the sauce from scratch — no cans here — is key to success with this dish, and you can alter the seasonings as you see fit. Add cayenne for some heat, a pinch of nutmeg for a touch of sweetness, or stir in a splash of white wine or sherry to brighten up the sauce. If an after-work catfish fry is out of the question, here's a more practical meal that features economical, farm-raised fillets that still pay homage to their Southern roots. 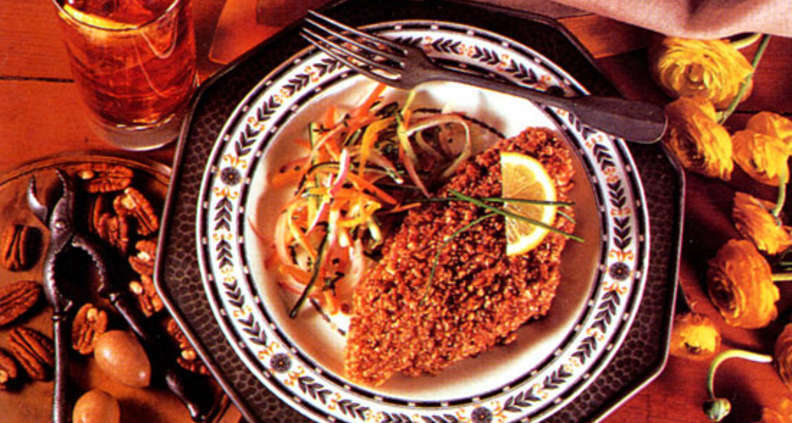 Instead of being fried, the fillets are dipped in Dijon mustard and milk, then coated with coarsely ground pecans and baked. A healthy portion of pecans makes this little indulgence seem not so sinful, but feel free to switch out the pecans for your favorite nut to suit your mood. Your first time making these sticky snacks can be a little tricky — using two spoons will help ensure perfectly sized portions and minimal messes. 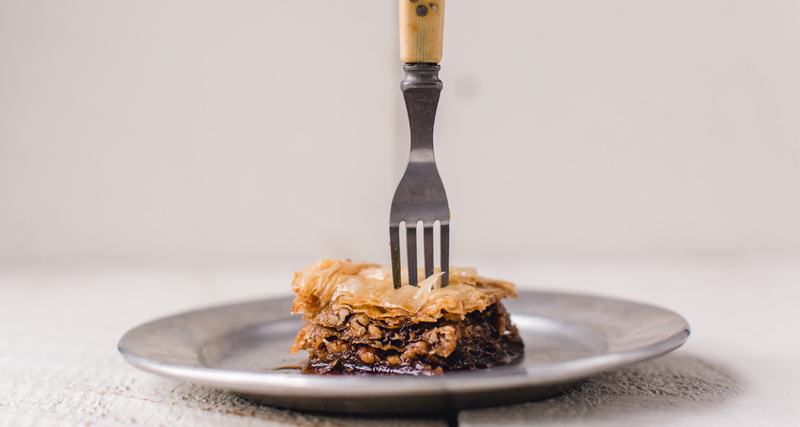 Classic chocolate pecan pie gets reimagined in the form of a Greek baklava. Layers of flaky, buttery phyllo dough, pecans and chocolate chips are soaked with a molasses syrup to form a handheld pecan pie. The tricky part is working with phyllo dough: for best results, let the phyllo thaw on the countertop while still in the packaging, carefully unwrap, then cover with a damp dish towel while you’re working to keep the dough moist.